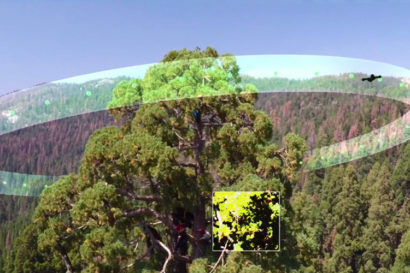 Professor Todd Dawson gets a first person view of what the drone is seeing in the crown of a giant sequoia. 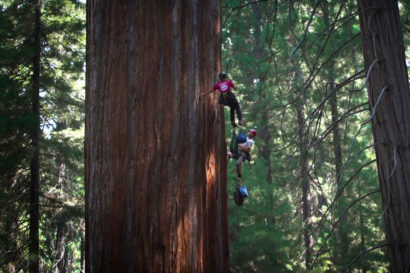 “With repeat flights you can watch a forest grow without ever actually measuring any trees in the forest,” Dawson said. 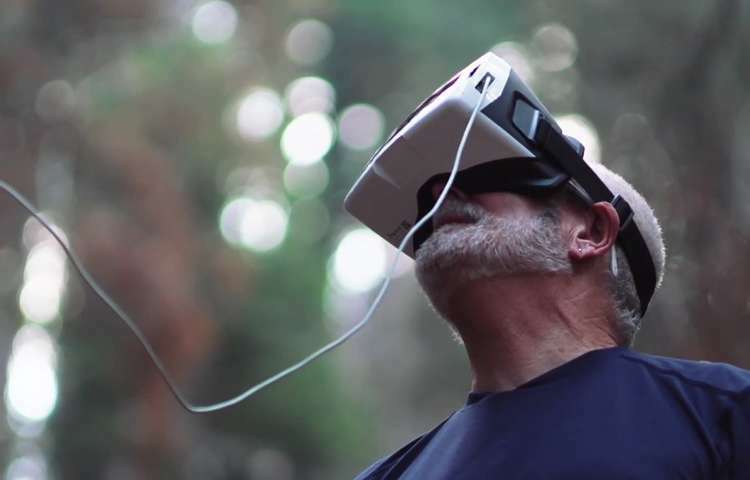 “I think drone technology holds a lot of promise to do some very innovative science over time and in three-dimensional space with a relatively cheap tool. 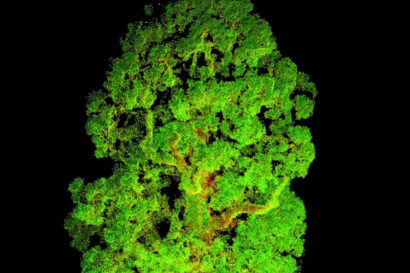 It is really pretty amazing.”After the data and photos were stitched together by a software program called Pix4D, Dawson and Crutsinger ended up with a three-dimensional representation of the foliage that his team had never seen before – information that will be used to determine how much carbon the tree takes up each day and how much water it uses, the basis for assessing what might happen with higher carbon dioxide levels in the atmosphere and less water on and in the ground.